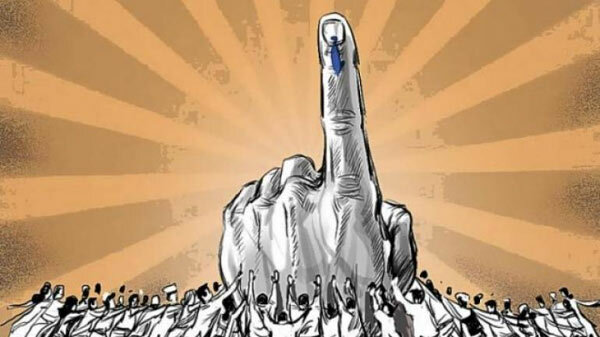 Polling has been completed in the 17 Lok Sabha seats in Telangana. As many as 443 candidates are in the fray but the key contest is between Telangana Rashtriya Samiti (TRS), Congress and the BJP. For the first time in the history of Indian Elections, 12 EVMs are being used in each booth in Nizamabad, where 185 candidates, including more than 170 farmers, are contesting. In Nizamabad constituency, 177 farmers are contesting against Chief Minister K. Chandrasekhar Rao’s daughter K. Kavitha. The farmers have deployed only one polling agent on their behalf. The polling was slow as the voters took time to identify candidates of their choice on the EVMs. This led to long queues outside. Telangana registered 60.57 voting percentage at the closing time. While the turnout is good in rural areas, the voting percentage is poor in urban areas, especially in Hyderabad, Secunderabad and Malkajigiri.